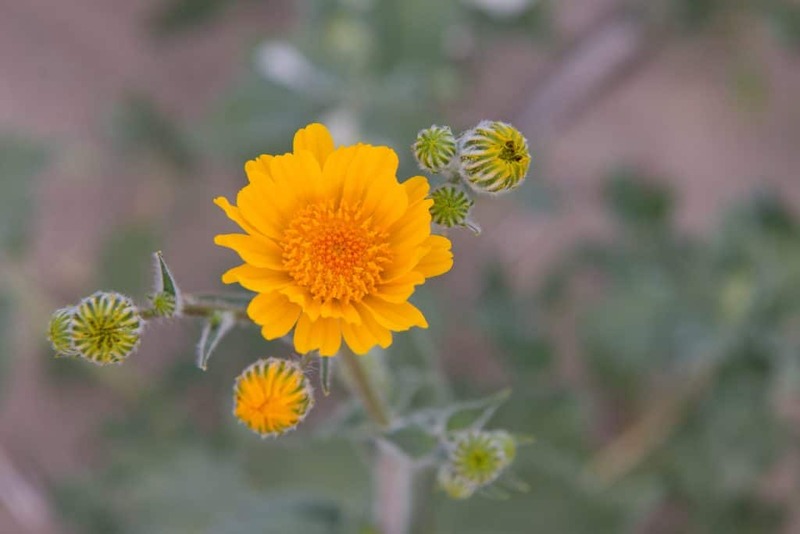 Every day, for the past several days, we have been hearing reports of a “super bloom” of wildflowers. California has been plagued with drought for the past several years. Thankfully this year, we received our much needed winter rains. 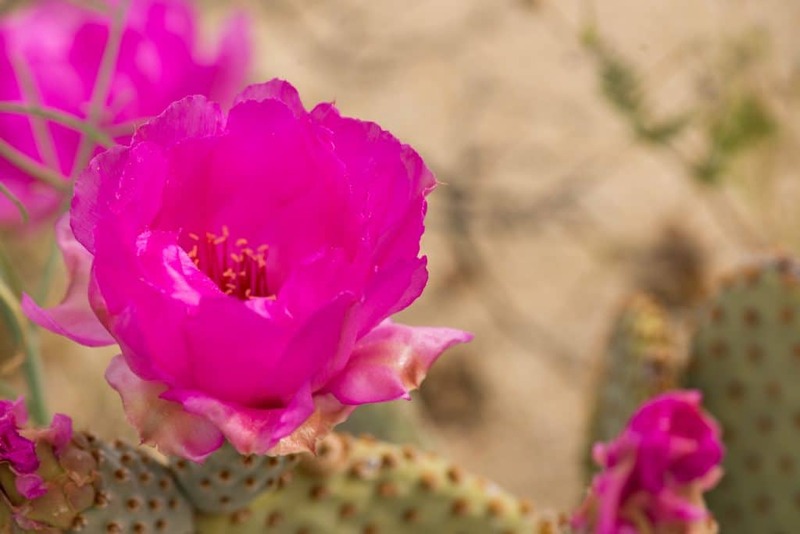 Anza Borrego State Park, located a couple hours east of San Diego, is a well-known area to enjoy desert spring flowers. This year, a whopping, seven inches of rain has fallen there. 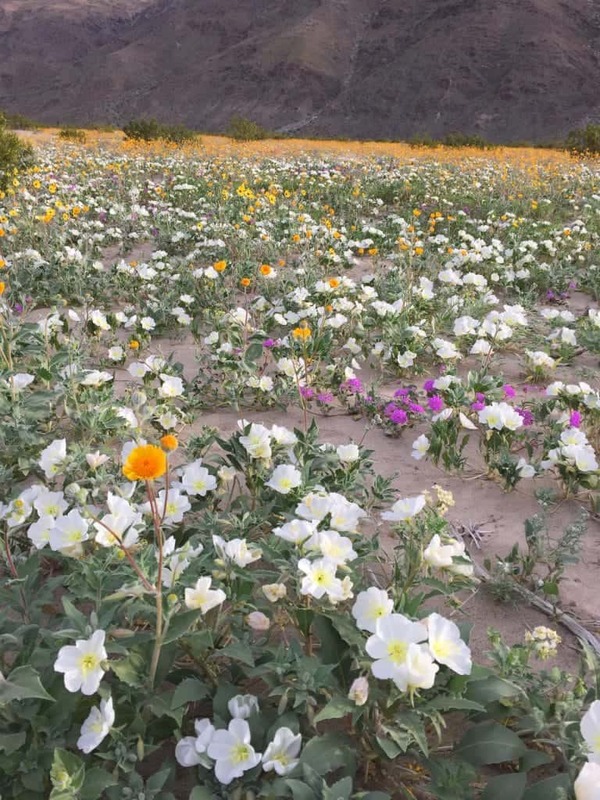 It turned the park into what is called a “super bloom.” This is a once in a 10-20 year event. My husband and I decided we must experience this phenomenon. After all it is spring, our favorite time of year. 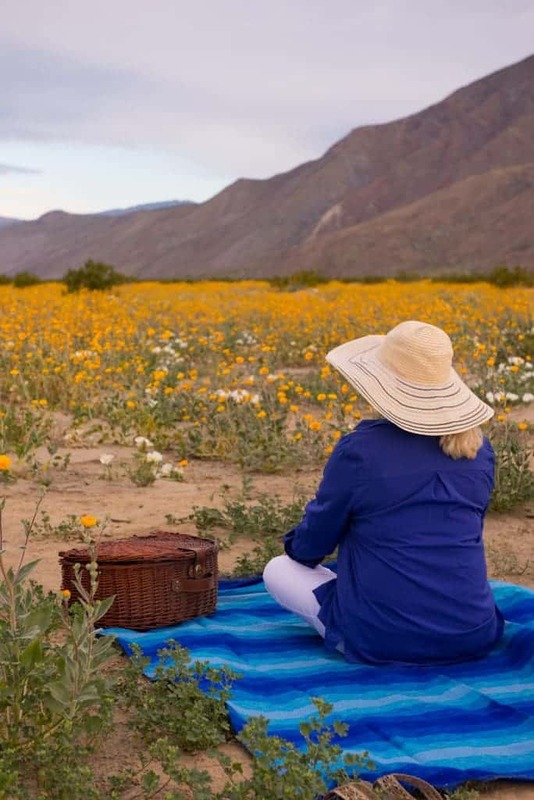 As this super bloom only happens occasionally, the state park was booked solid, no available campsites or hotel rooms anywhere near the park, We had no choice but to turn to primitive camping. 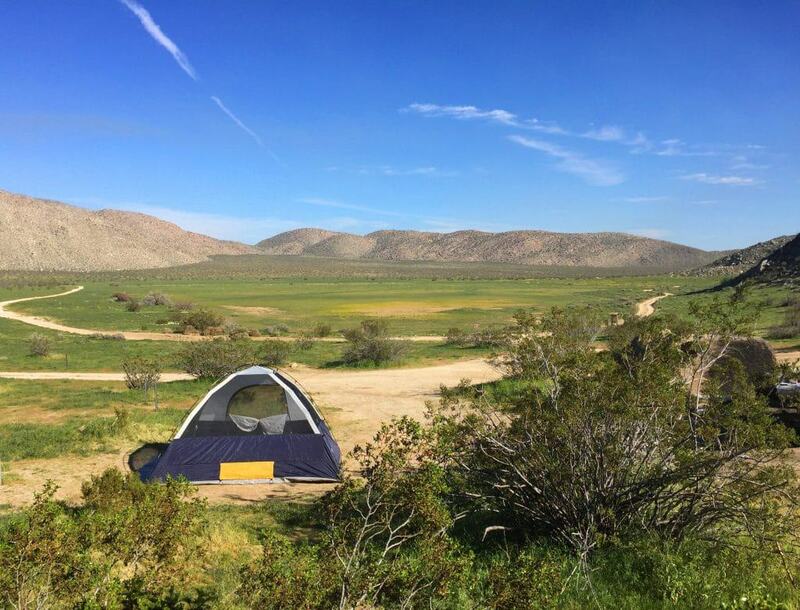 Anza Borrego is one of the few parks where you can pitch a tent anywhere you can put your car, one car length off the road. So we loaded up our truck with a tent, a couple sleeping bags and a few provisions and off we went. What we encountered when we arrived was simply stunning. Like a fairy tale. 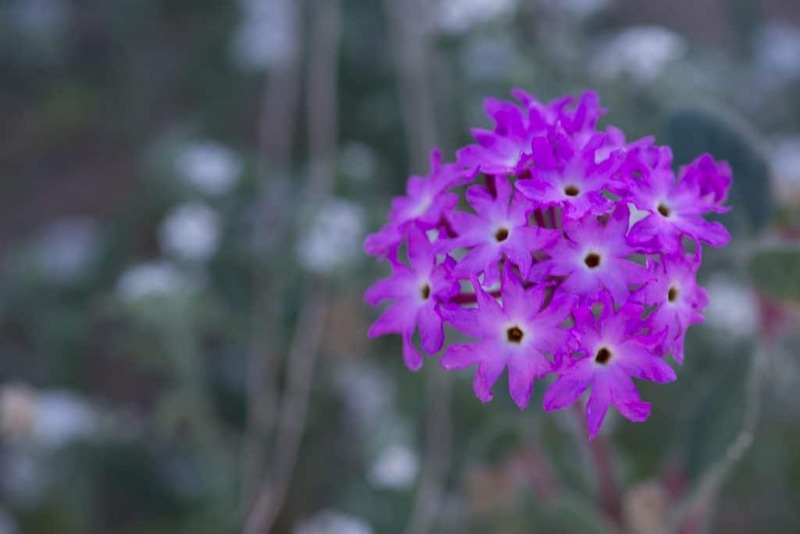 Desert Sand Verbena in all its glory. 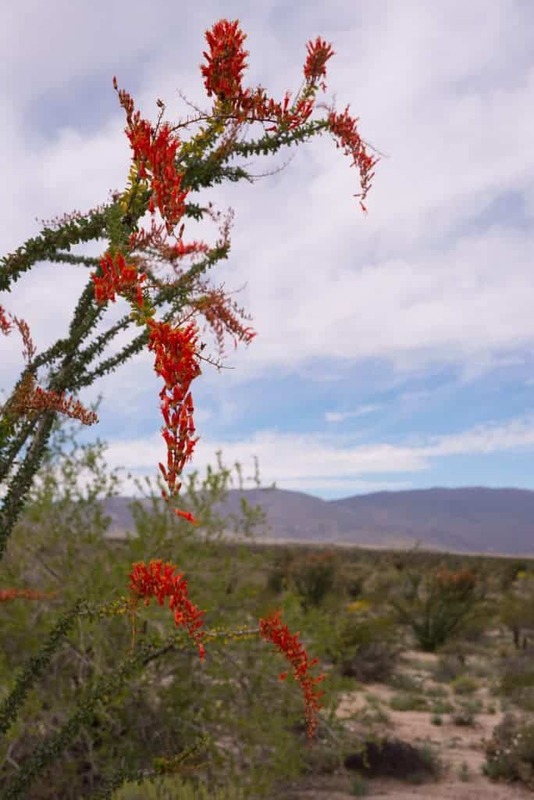 We got a tip after a stop at the main wildflower locations near Borrego Springs, to head south and we found a lovely area called Little Blair Valley where we made our camp. It was breathtaking. 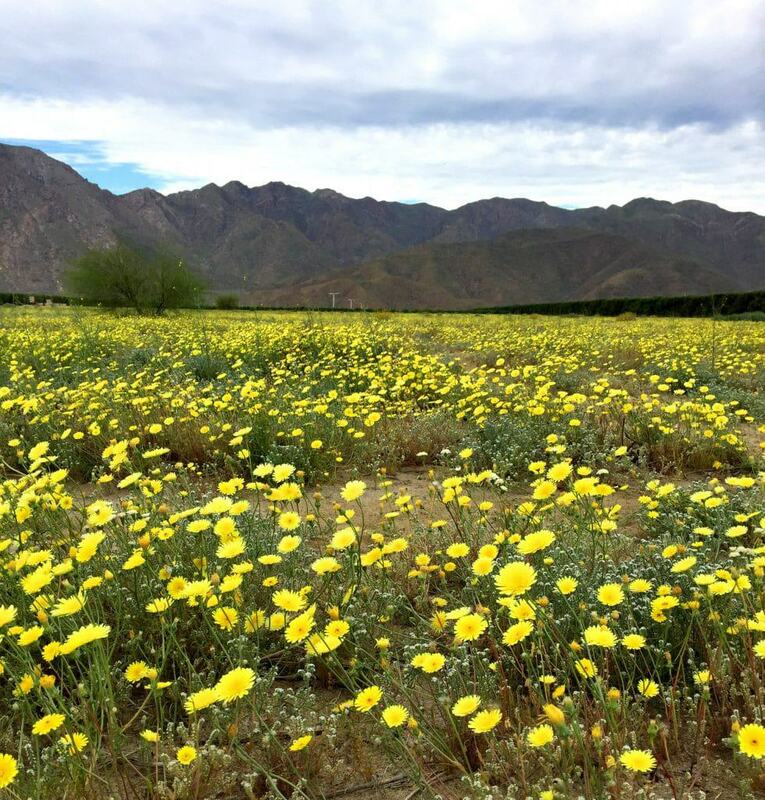 It was an immense field of green grasses and yellow wildflowers. By the time we awoke the next morning, a canvas of purple flowers had also emerged. In our explorations, we happened upon the Ehmuu-Morteros Trail. 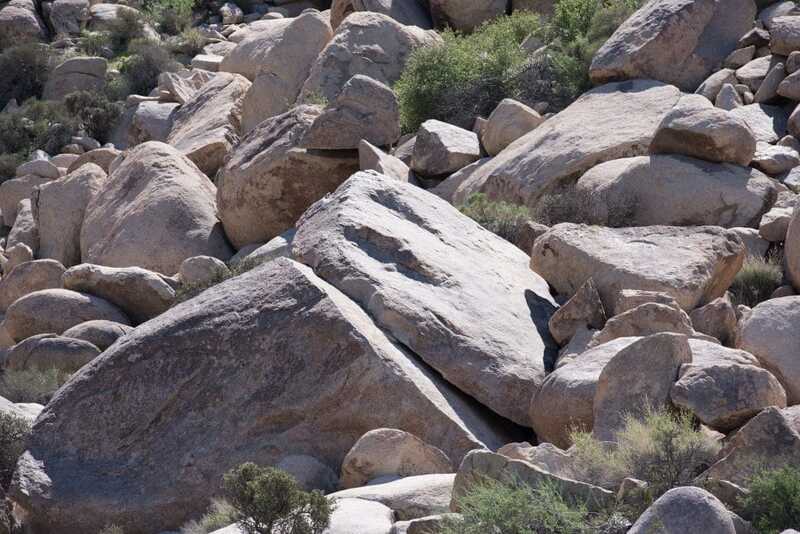 This area was the seasonal home of the Kumeyaay (Koo-mee-eye); a Native American Indian tribe. Ehmuu means bedrock hole, in their native language and mortero is Spanish for mortar. Along this trail we came across a “kitchen;” a food preparation area, where the rocks served as the appliances. The deep morteros were used to cook stews and mush, heated by dropping in hot stones from the fire. 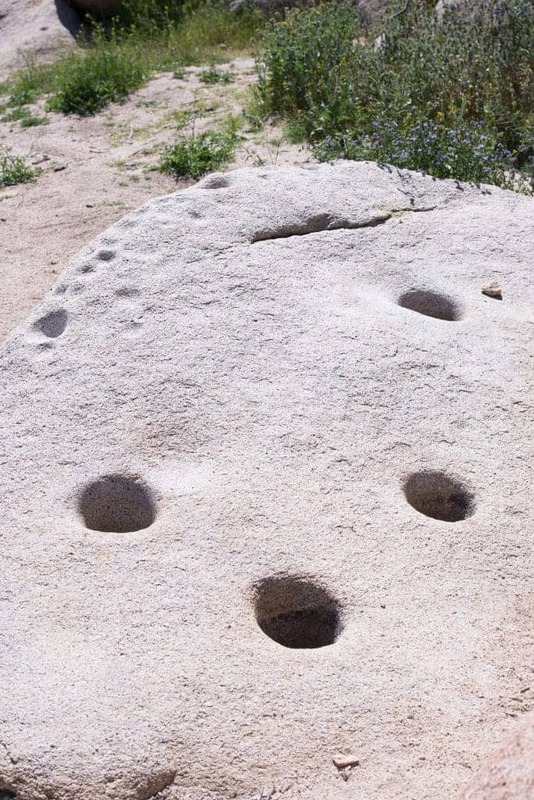 The shallow ones were used to grind food and medicine. 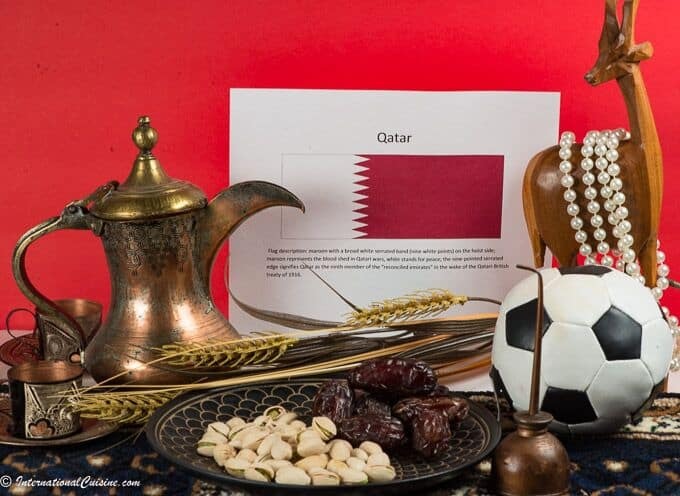 The rocks were used for pounding, grinding, drying, mixing and preparing food from the numerous wild plants gathered nearby. One area on the trail, called the “Emally Forest”, was a virtual super market for the native people. 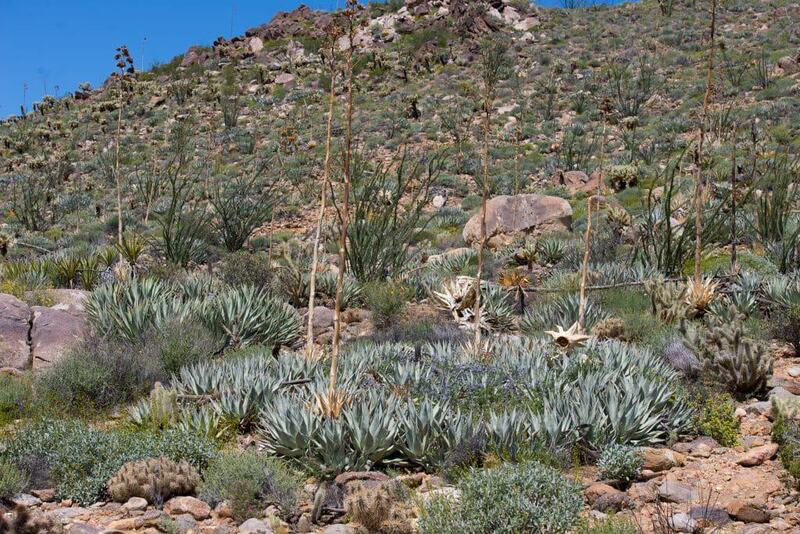 Here you would find the giant agave cactus, (emally), the namesake of the forest. Agave was roasted in deep pits dug by the Kumeyaay men. The pits were lined with rocks and the agave was roasted for three days before it was consumed. Juniper berries, also abundant here, were another important food source along with yucca, jojoba, cacti, creosote, and ephedra. The plants in the area not only provided food but also medicine, tools, shelter and clothing. 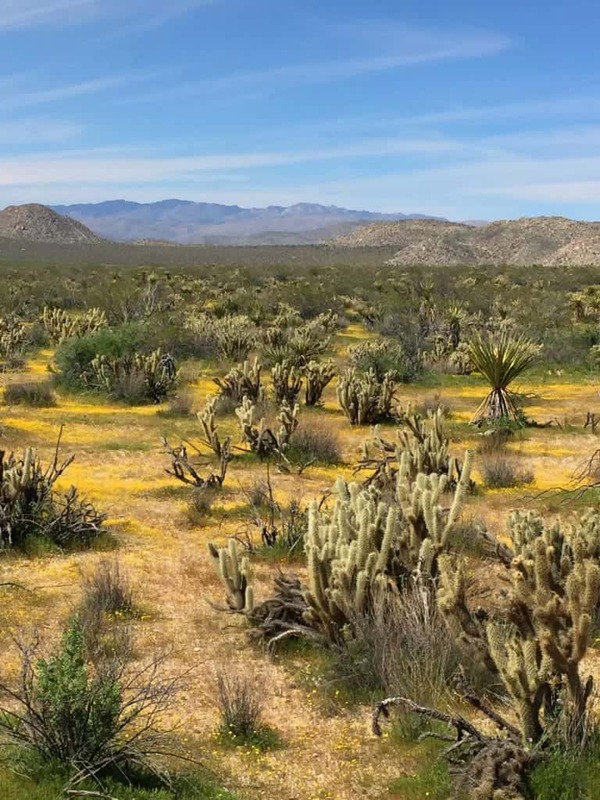 It was a hike that turned back the hands of time, allowing us to imagine this native tribe in their element and yet the trail was strewn with freshly blooming wildflowers, all along the way. Here are a few more pictures of what we discovered. I hope they might inspire you to do a little wildflower chasing as well. There is after all, something about a field of flowers that draws you in and gives you a sense of hope. The flowers, in every color of the rainbow, have a way of making your soul feel childlike, wild and free. Wow! 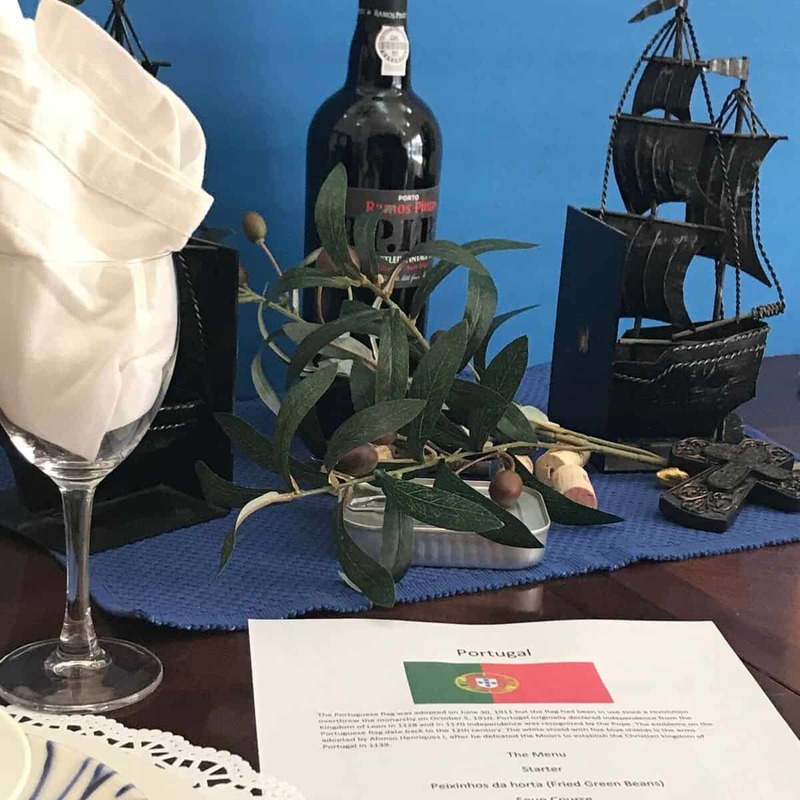 Food and photography. You’re living my dream! Thanks Janice, it has been an awesome journey! Our photography skills are getting better but I am certain we can learn a trick or two from you! We have always loved your photographs! Thanks for joining the journey! 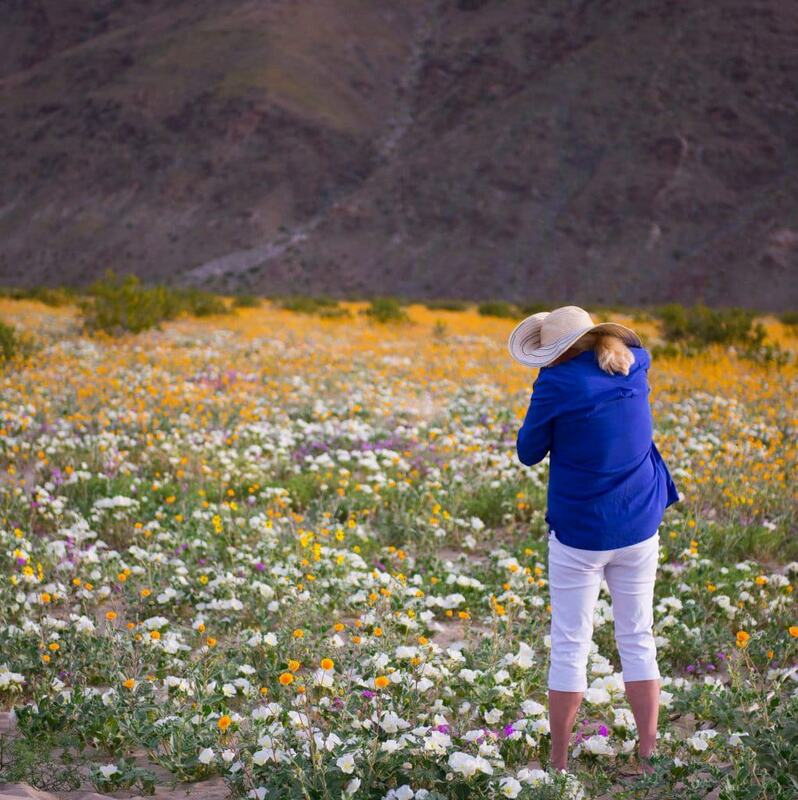 Beautiful photos, Darlene and Dan!How wonderful to see a super bloom. Thank you for sharing!!! Thanks Caroline! It was stunning, we just had to go see it. Safe travels!